Have you ever had a secret, something you were ashamed of, and you wanted to tell someone about it, but the longer you waited, the harder it became? For Rose Quartz, that secret was Bismuth. What an episode. What a character. 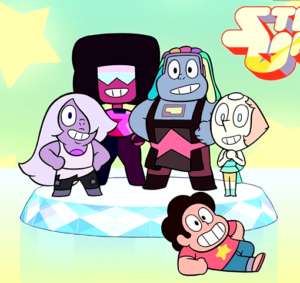 The Crewniverse utilized their first half hour special exceedingly well. 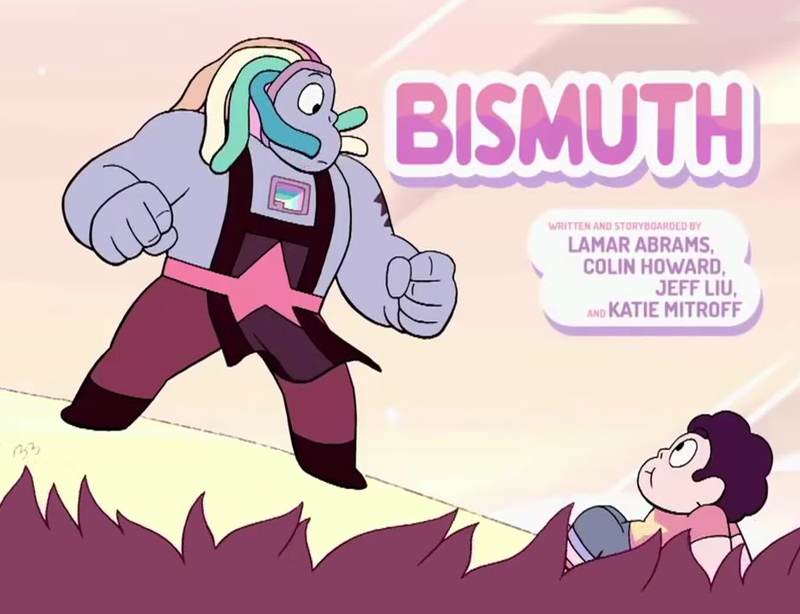 We first met and have been subsequently speculating on the mysterious bubbled object in Lion’s mane back in 2014, during “Lion 3: Straight to Video.” The fandom worked out Bismuth’s name, and during “Same Old World,” we even caught a glimpse of Bismuth, albeit through the stylized and biased narration of Lapis Lazuli. With an errant snap of a magical tree, Bismuth was here, and just as fast, she was gone…but for one glorious episode, the Crystal Gems had one more member, and life was good. Because Rose lies. That’s a big message from “Bismuth,” and one that Steven needed to learn sooner rather than later. 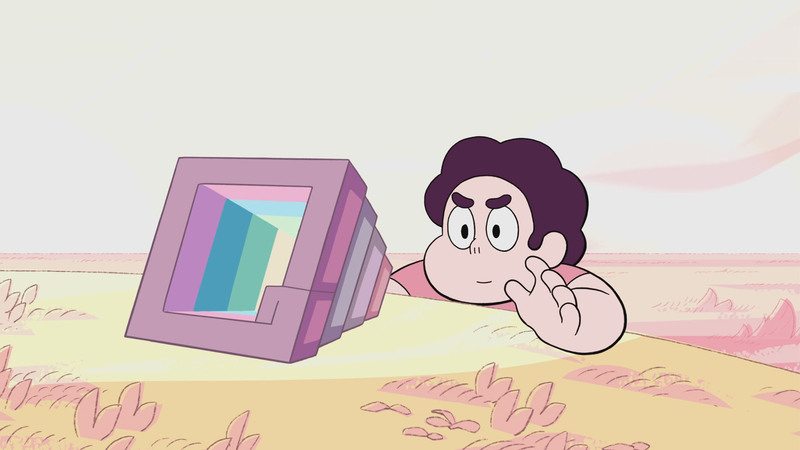 But another lesson Steven learned in “Bismuth” is that misguided though she might have been, Rose was not evil. Rose could not go through with the Breaking Point. You can imagine, with painful clarity, how things would have gone down. Rose holding Bismuth’s bubble in her hand, horrified at what had just happened, wondering what she should do next. Let Bismuth out, risk another confrontation, risk her murdering someone? No, she would have decided. But how could she explain to the other Crystal Gems? How would they react, knowing that Bismuth had attacked her, knowing that she had fought back? Would they attempt to use the Breaking Point themselves? So she decided to just not tell them. Maybe she meant to at some point, but simply never found the right way or the right time. Bismuth saw this as a sign that Rose didn’t care, but we know this wasn’t the case. Rose kept her bubbled among her most precious and beloved possessions. It simply comes down to a point which seems to be recurring again and again: Rose never wanted to hurt those she loved, but did so accidentally, through poor communication. The chibi title card is so cute that it’s physically painful. The true tragedy of this episode is the knowledge of ‘what could have been’. 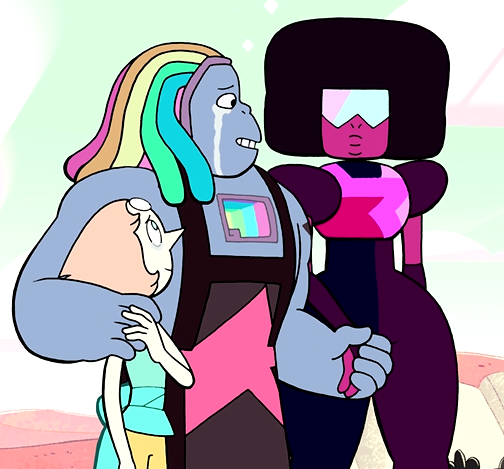 Bismuth is genuinely a wonderful person. When she first found Steven in Lion’s mane, thinking him just a random human child, she was sweet and gentle with him. She was playful and kind with Pearl, snarky and spirited with Garnet, joking and genuine with Amethyst. She could have brought so much to the team. She could have helped lift the weight from Garnet’s shoulders, helped Pearl cope with the trauma from the war, helped bolster the self-esteem of both Steven and Amethyst. All of that is lost, because of a misunderstanding, and an intractable difference in opinion. 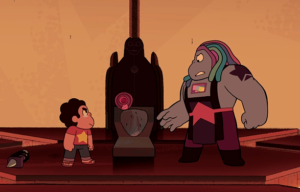 Bismuth undoubtedly went too far in attempting to kill Steven, even if she was under the mistaken belief that he was actually Rose Quartz. Could the killing of enemy Gems ever be morally justifiable? The treatment of enemy combatants during wartime is always going to be difficult subject, and it becomes even more morally grey when dealing with a species such as the Gems, whose ‘biology’ makes death-free conflict far easier to obtain than for us fragile humans. 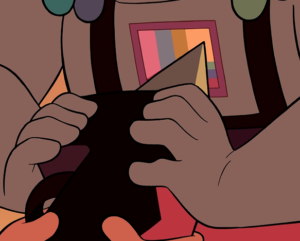 Further complicating things is the fact that it is frankly impossible not to be sympathetic to Bismuth’s point of view. She spent her entire life as a slave, being told she was less important and valuable than her masters. She saw, first hand, the way Homeworld treated soldiers, pearls, mixed-fusions, and humanity. You can understand how she’d want the perpetrators of such grave discrimination to receive some kind of justice for their actions. Even more, you can most certainly understand her willingness to kill in order to protect those she cares about. Could the Breaking Point have turned the tide in the Crystal Gem rebellion? Made their victory decisive enough that Homeworld never would have even had a chance to set off the Corruption? Possibly. But would it have been worth it for the death of Homeworld soldiers, who for the most part are conditioned into their harmful beliefs, and are just as much slaves to it as Peridot was? This was the first episode where we saw Steven not only attack, but deliberately destroy the physical form of a Gem. Not a Gem monster, hurting and confused, but a conscious, aware Gem. Even worse, it was to someone he considered his friend, if only for a short time. (And oh, the irony, that the first new Gem he meets that doesn’t immediately try to attack him, attempts to later anyway.) You can see how much it weighs on him. As the conflict with Homeworld heats up, however, he’ll likely be confronted with such situations time and time again. Sooner or later, he might even be put into a position where he may be pressured to shatter someone himself; we can only wonder how he’ll hold up if he is. This episode inspired many questions about the future. Will we get to see Garnet and Pearl addressing the fact that Rose kept such a deep and personal secret from them for millennia? Will we finally start getting more detailed flashbacks to the Rebellion, now that we have more details about the Crystal Gems’ soldiers? Will we get another updated opening, now including the Gems’ new weapons, as well as our new cast members? But the heaviest question is, of course, ‘will we see Bismuth again?’ On one hand, it seems unlikely. Aduba has been consistently described as a ‘guest star’ by the show’s crew, and it can be difficult to bring high-profile actors back, such as with Nicki Minaj’s Sugilite. In-universe, it’s also hard to see what could prompt the Gems to unbubble Bismuth any time soon. But considering how important Bismuth is to the Crystal Gems’ history, her role in stranding Lapis on Earth, and her stake in one of the show’s central ethical debates, it would be a huge waste to never use her again. Next: The Naruto Epilogue Novels Get Anime Adaptations!